Place the remaining ingredients in a small bowl or measuring cup and whisk well. 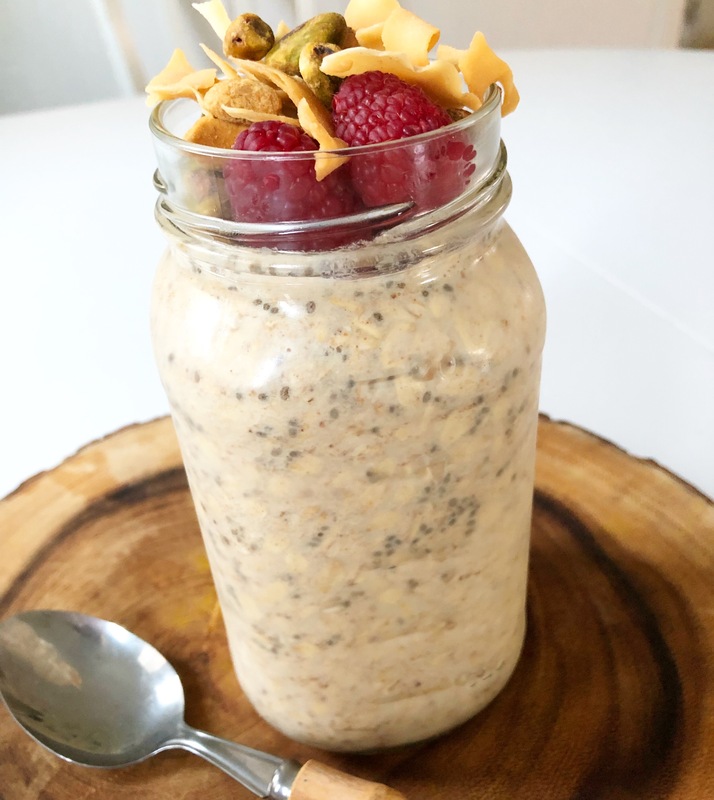 Pour liquid into the Mason jar, and use a fork to dig and mix! When you are ready to eat, scoop out desired amount and top with toppings of your choice. For an extra treat, you could mix in a little Better Than Half, which is my new thing!! 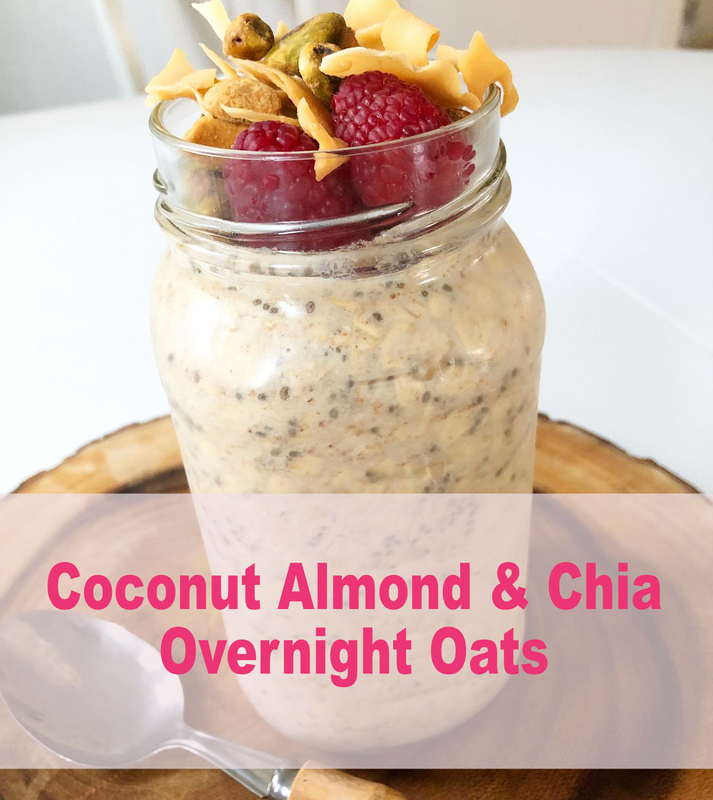 Your coconut chia oats will store beautifully in the fridge for up to 5 days. Ready to get Gorgeous For Good? Pick up a copy of my FREE starter guide!